WordPress Analytify have tons of shortcode , so user can use plugin functionality anywhere he want. 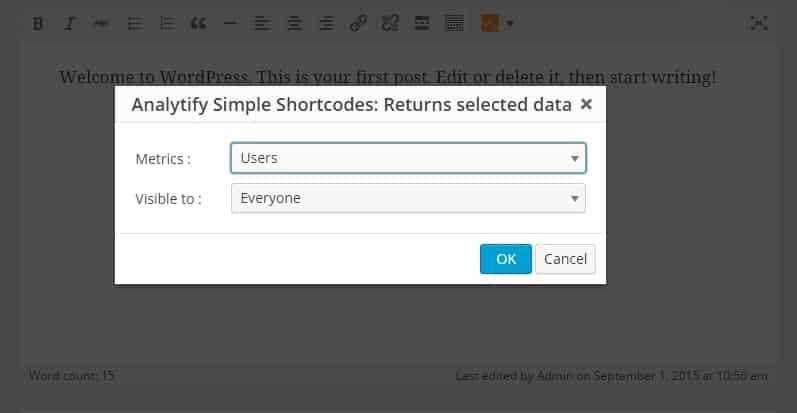 Yeah we know remembering all shortcode are difficult thats why WordPress Analytify have option to create the shortcode in text editor with just few clicks . Normally Analytify have two types of shortcode. In Simple shortcode, you just need to set the Metrics and Visibility role Only. Metrics are the quantitative measurement, the Metrics session is total number of sessions. The Metrics Pages/Session is the average number of pages viewed per session. You can set any Session from Metrics and set the Visibility role for present the total number of sessions. Here is Example for getting total number of Users of this site. 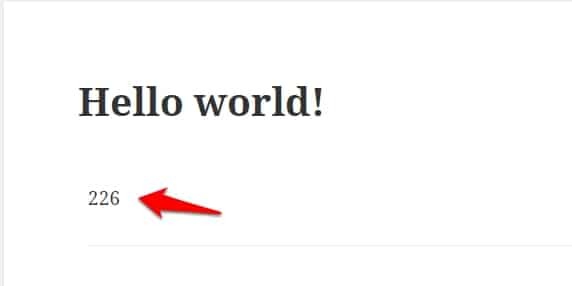 First Select the Simple type from Analytify shortcode button. Next, Select the Visibility option. Who can see the result of this shortcode. After set the value you'll get the shortcode.